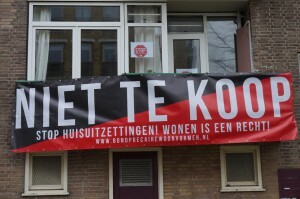 The Kolenkitbuurt’s struggle is part of a broader struggle which is the claim for right to the city for people. Since the Kolenkit’s neighborhood was decided to be turned into transformations with renew urban projects, such as the Koelkit project, we decided to organize the struggle hand in hand with inhabitants. Indeed, Rochdale has the plan to renovate and sell 4 buildings in which people with 5 different types of temporary contracts are currently living. 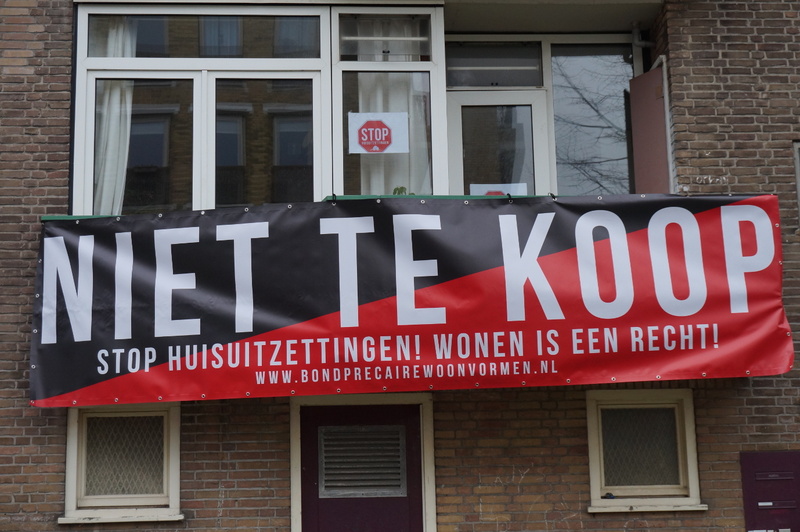 This Koel Kit project will force these temporary tenants to leave, and replaced by others, given that the 154 housing accomodations are gonna be more expensive, sold and privatised.